Galerie Vivienne Paris – 4 rue des Petit-Champs, Paris 2. Galerie Colbert Paris – 2 rue Vivienne, Paris 2. Passage du Grand Cerf Paris- 145 rue de Saint-Denis, Paris 2. Passage des Panoramas Paris – 11 boulevard de Montmartre, Paris 9. Passage Jouffroy Paris – 10 boulevard de Montmartre, Paris 9. Passage Brady Paris – 43 rue du Faubourg-Saint-Martin, Paris 10. Passage Choiseul Paris – 40 rue des Petits-Champs, Paris 2. 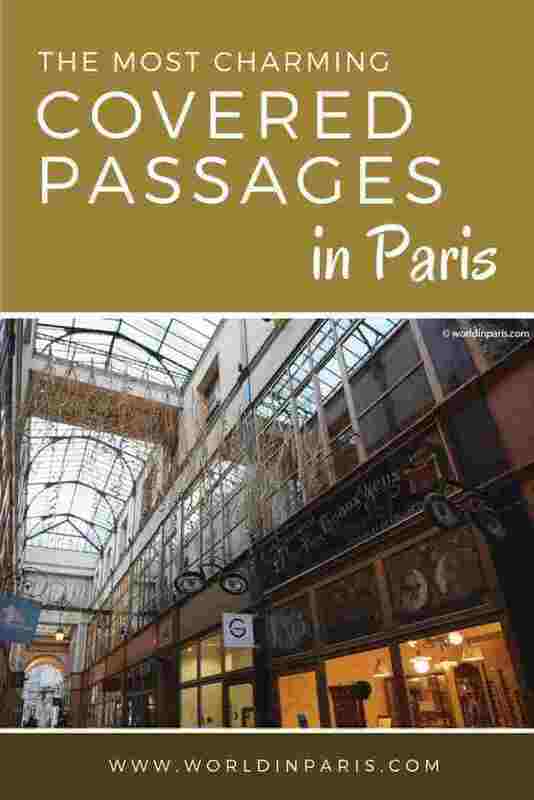 The Covered Passages of Paris (Passages Couverts de Paris in French) are a world apart from the crowded museums or busy Grands Boulevards and one of the best Paris hidden gems. By the end of the XVIII century, town planners created a labyrinth of commercial covered walkways across the city with beautiful stained-glass ceilings, mosaic works, and iron latticework, all bathed in natural light. 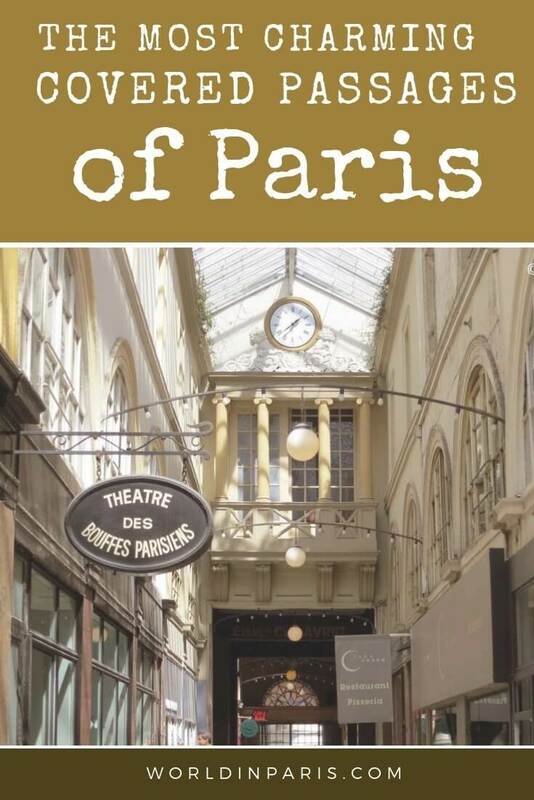 Apart from its dominating merchant role, the covered passages of Paris were also the new bourgeois’ favorite stroll, the place to show up and socialize in its endless cute cafes, Paris bistros or small theaters. 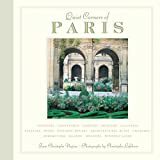 Quiet Corners of Paris: Cloisters, Courtyards, Gardens, Museums, Galleries, Passages, Shops, Historic Houses, Architectural Ruins, Churches, Arboretums, Islands, Hilltops . . .
Over the years only a few covered walkways survived. Restored to its former glory, they are nowadays real Art Nouveau / Neoclassical architectural gems and if you know where to look, you will find a hidden world of delightful ancient boutiques, cute cafes and other curiosity shops. 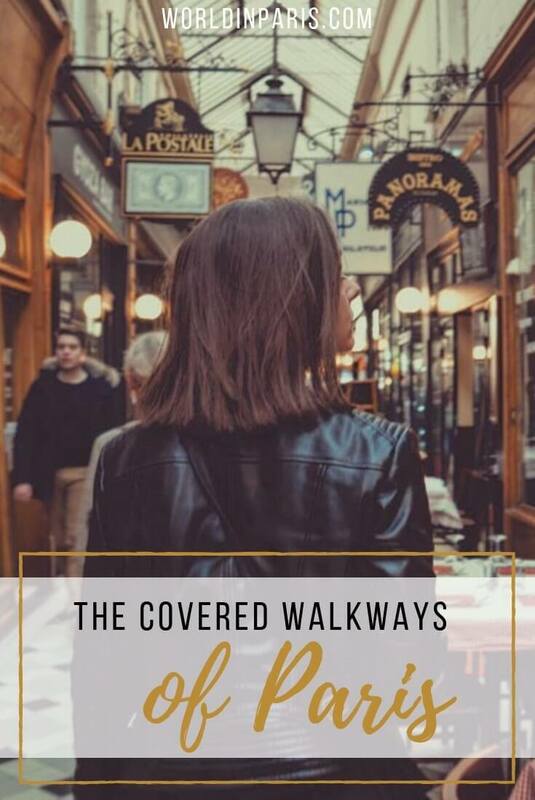 These charming Covered Walkways of Paris, totally free to visit, are the perfect shelter for a rainy day in Paris but also a trip back in time to the wonderful Belle Époque. Luckily most of these covered walkways in Paris are in the second and ninth Arrondissements of Paris so you can go from one covered walkway to the following one by foot. With few exceptions, they open from Monday to Saturday, during the business hours. Looking for beautiful Paris walks? 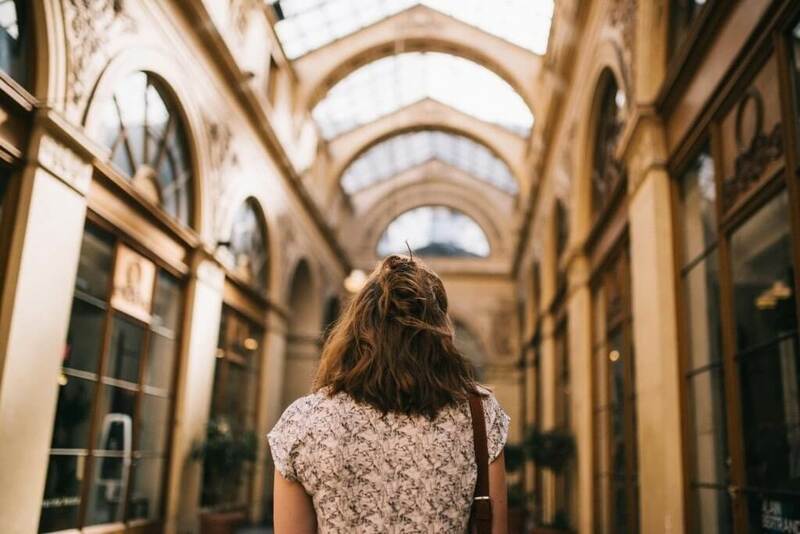 Explore the Passages de Paris (Paris Passages) at your own path with this DIY Paris Arcades Walking Tour. 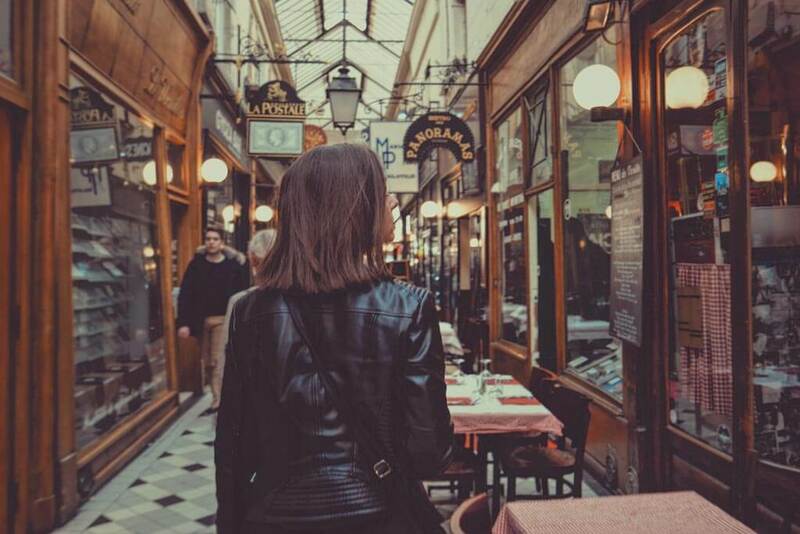 Paris bistros, cute cafes, nice vintage shopping in Paris and more. Built in 1823, Galerie Vivienne (or Passage Vivienne) is considered the most beautiful, elegant and exquisite covered passage in Paris. If you have time to visit only one or two Parisian walkway, choose this one. 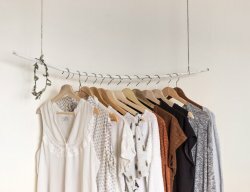 Today Galerie Vivienne Paris gathers luxury boutiques, bookshops, fabric shops, and lovely French cafes. Don’t miss its elegant architecture and the original mosaic floor with the names of the former shops at the entrance of each shop. » OUR MUST SEE’S: check the world reputed Wolff & Descourtis (#18) for its cashmere shawls and fashionable fabric designs. Legrand Filles et Fils (1 rue de la Banque) is considered the best wine shop in Paris, with more than 3000 labels (come with your wine tote bag, we’re sure you’ll end up with a couple of bottles!). Librairie F Jousseamme (#45) is a beautiful bookshop with ancient editions and rare books, which also sells beautiful ancient postcards. » THE PERFECT BREAK: Bistrot Vivienne (rue des Petits Champs), is a typical Paris bistro with quality traditional cuisine. A Priori Thé (#35) is a cute cafe and tearoom. » GALERIE VIVIENNE OPENING HOURS: Every day from 10 am to 8 pm. 2 rue Vivienne, Paris 2; M. Bourse L3 or Palais Royal Musée du Louvre L1, L7. The entrance to Galerie Colbert (or Passage Colbert) is on the same street than Galerie Vivienne so it is impossible to get lost! Actually, Passage Colbert (1826) was built to be in competition with Galerie Vivienne but in the end, it was less successful than its rival. 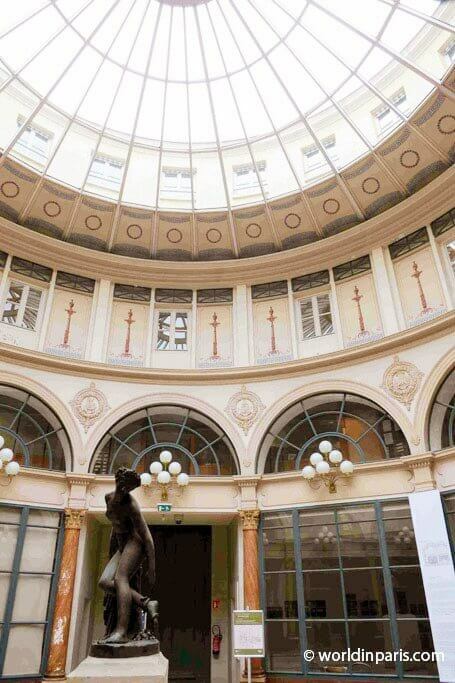 Don’t miss the richness of its neoclassical architecture, featuring a 15-meters diameter rotunda This covered walkway hosts l’Institut National d’Histoire de l’Art and L’Institut National du Patrimoine and there are no shops. » THE PERFECT BREAK: the restaurant Le Grand Colbert (2 rue Vivienne), with its unique Art Nouveau atmosphere, is perfect for a nice meal or an excellent hot chocolate in the afternoon. » GALERIE COLBERT OPENING HOURS: Every day from 10 am to 8 pm. Le Passage du Grand Cerf is one of the most beautiful Parisian walkways. However, this is one of the most secret passages in Paris because it is not easy to find. Le Passage du Grand Cerf Paris was built in 1825 on the site of the Hôtel du Grand Cerf, from which it took its name. Its pleasing interior is home to many artisan shops and high-quality jewelry boutiques. Don’t miss its spectacular 12 meter-high structure made of metal and wrought iron with a beautiful glass roof and its flourished balconies on the first floor. » OUR MUST SEE’S: Eric et Lydie (#7), contemporary jewelry designers. Pour Vos Beaux Yeux (#10) specializes in vintage eye-wear. Rickshaw (#7) sells curious objects from all around the world. » THE PERFECT BREAK: Le Pas Sage (#1) is a wine bar perfect to finish your shopping in style. » PASSAGE DU GRAND CERF OPENING HOURS: Monday to Saturday from 8.30am to 8.30pm. Closed on Sundays. Built in the year 1799 along two arrondissements, Passage des Panoramas Paris is the oldest of the surviving covered passages in Paris and the first one illuminated with gas lamps in 1816. Its name comes from the two large rotundas built at the entrance of the passage (disappeared today) to display panoramic paintings of Paris, Toulon, Rome, Jerusalem, and other famous cities. 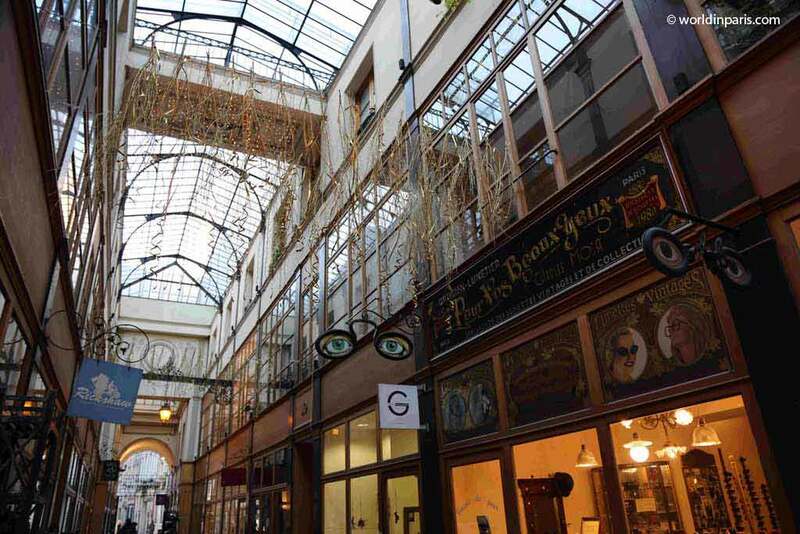 This labyrinthine covered walkway is home to the Théâtre des Variétés which entertains Parisians since 1807. But most of all, Passage des Panoramas is known for its philately shops so if you like old stamps, postcards, and coins, this is the place to go. 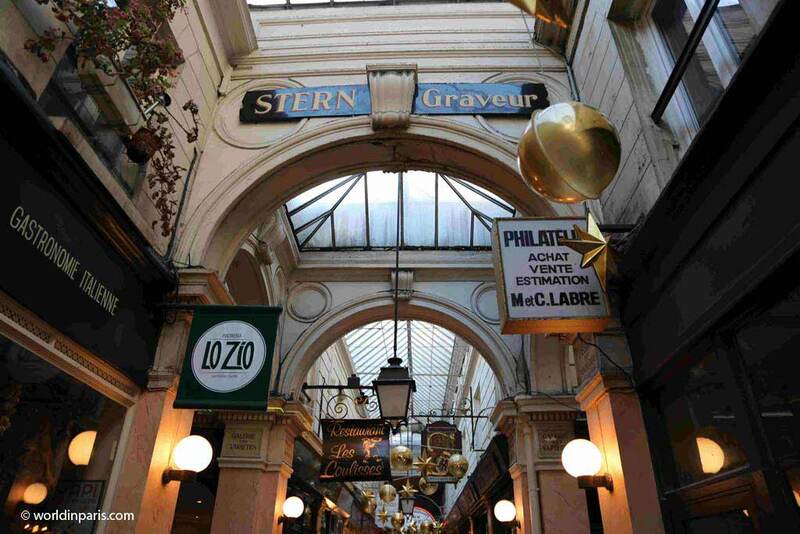 » OUR MUST SEE’S: the French engraving and printer Henri Stern (#47) set up shop here in 1834. Today the shop is working as a fancy cafe but you still can see original details of the former shop. The Artists’ entrance to Théâtre des Variétés (#17). Tombées du Camion (#44) is a cute shop with interesting (sometimes weird) collectibles. » THE PERFECT BREAK: Restaurant Noglu (#16), is one of the few gluten-free eateries in Paris. Explore the best of French wines at Les Racines (#8) specializing in trendy natural wines. La Crêperie (#62) proposes yummy crêpes and ice creams. » PASSAGE DES PANORAMAS OPENING HOURS: Every day from 6 am to 12 am. 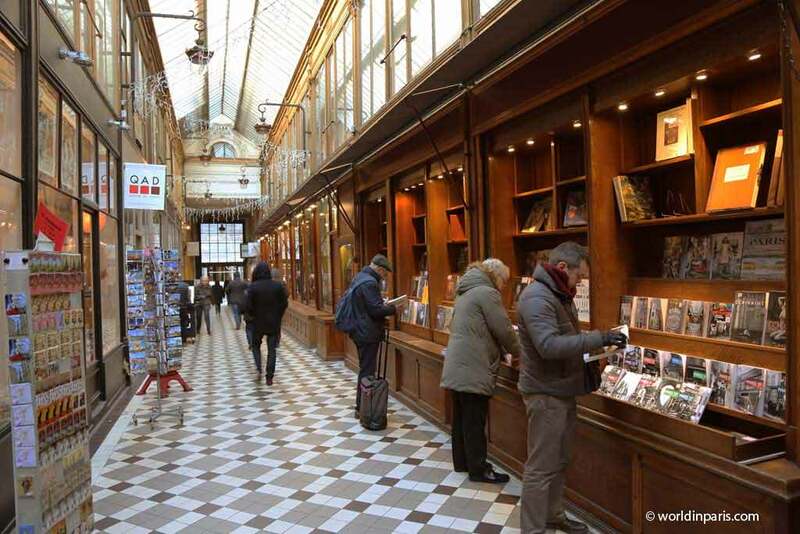 If you want to know how these passages couverts de Paris looked like in their heydays, during the XIXth century, Passage Jouffroy is the place to go. Crowded and packed with quirky boutiques, this covered passage is always fun to walk. This is also the most touristy passage thanks to Musée Grevin, the Parisian version of Madame Tussaud’s, with the exit inside this passage. Don’t miss its structure: this is the first Parisian passage built entirely of metal and glass with the only exception of the decorative elements in wood. We also like the floor, paved with a geometric pattern composed of white, gray and black squares. » OUR MUST SEE’S: Pain d’Épices (#29) and La Boite à Joujoux (#41) are two old-fashioned toy shops worth a visit even if you don’t have kids. Quirky Segas (#34) specializes in antique walking sticks. Librairie du Passage (#48) proposes second-hand books and beautiful vintage posters. » THE PERFECT BREAK: stop at Café Zéphyr (12 Boulevard de Montmartre) to enjoy a nice Art Déco atmosphere and some French pastries. And why not sleeping inside the passage? 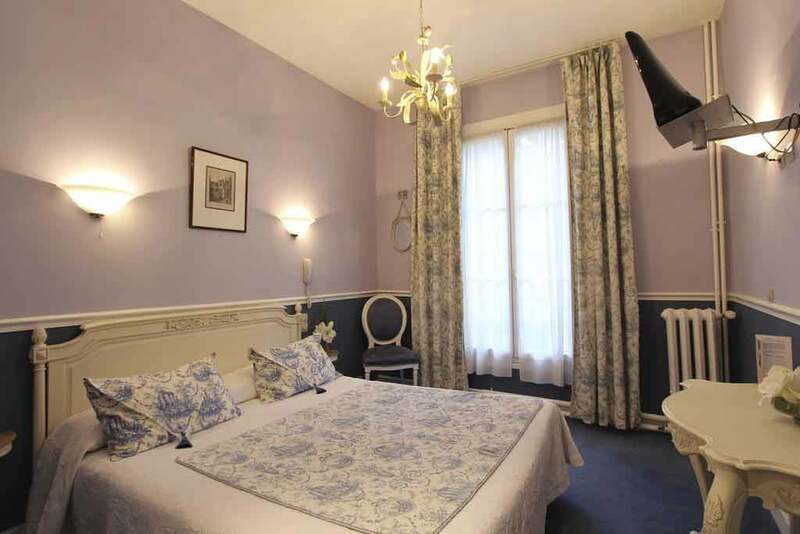 Stay at charming Hôtel Chopin (#46) for a fashionable sleep, with good deals if you book in advance. 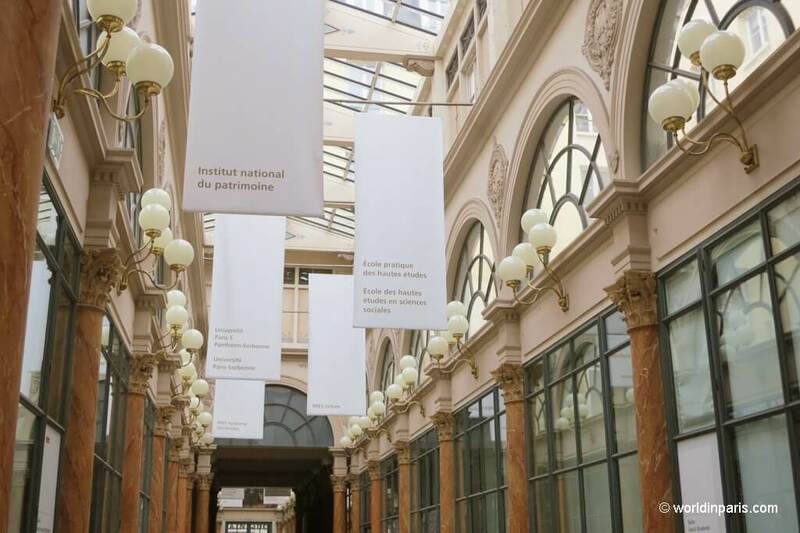 » PASSAGE JOFFROY OPENING HOURS: Monday to Saturday from 8.30 am to 7.30 pm. Sunday from 10 am to 7 pm. 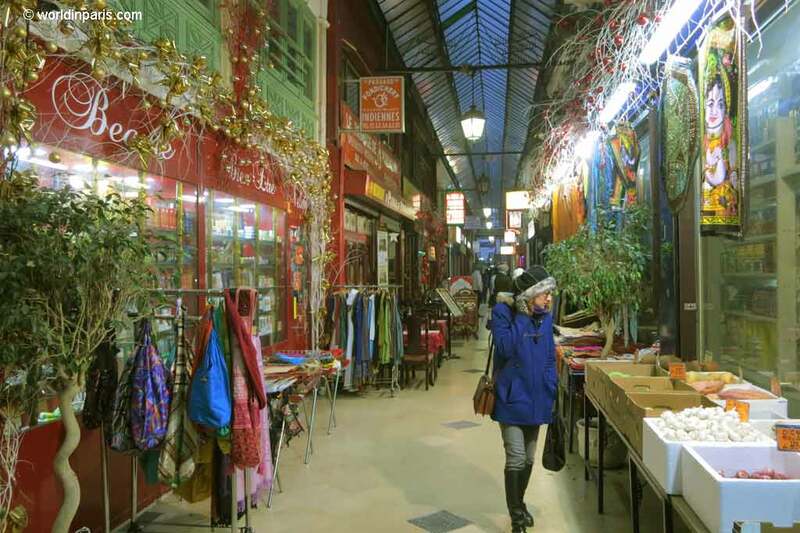 It is easy to understand why Passage Brady is called “Little India” by the locals: this colorful and perfumed Parisian walkway is full of Indian, Pakistan, Mauritian and Reunion curry restaurants, spice shops and bazaars. Built in the year 1828 by the merchant M. Brady, Passage Brady was originally a beautiful covered passage with an elegant rotunda to compensate its irregular design. In 1854, during the Hausmanninan works, the passage was cut to let the new Boulevard de Strasbourg pass. 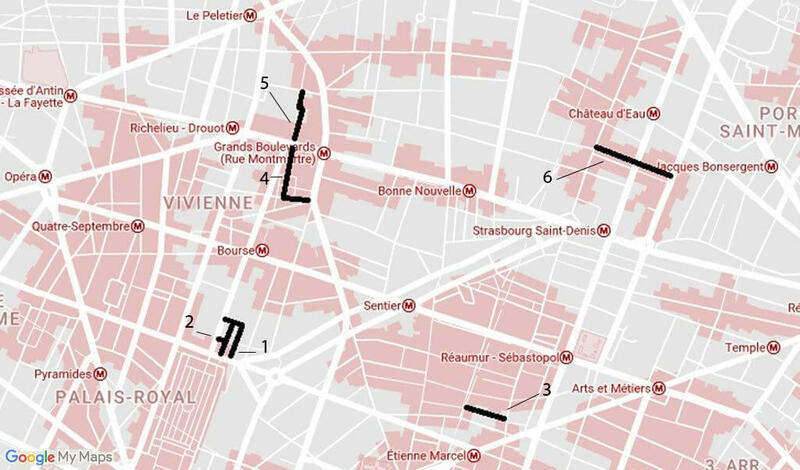 Today only the part linking rue du Faubourg Saint-Denis to Boulevard de Strasbourg is covered. Don’t miss the beautiful Art Nouveau inscription with the name of the passage at the entrance. The view from the eateries located on the first floor deserves a lunch break at Passage Brady. » OUR MUST SEE’S: Épicerie Velan (#87) to buy Indian and Pakistani specialties (and any kind of species). » THE PERFECT BREAK: La Reine du Kashmir (#80), restaurant awarded by different Indian gastronomy prices. » PASSAGE BRADY OPENING HOURS: Monday to Saturday from 9.30 am to 11.30 pm; Sunday from 6 pm to 11.30 pm. Passage Choiseul was named after d’Étienne-François de Choiseul-Beaupré-Stainville, War Minister and Foreign Affairs Minister during Louis XV’s reign and it is as long as this guy’s name. Actually, with 190 meters of length, this is the longest of the Covered Passage in Paris. Thanks to a recent deep restoration, the beautiful glass roof is now bathing the walkway with a nice light. The first and second floors of this are occupied by shops while the third floor is mainly residential. 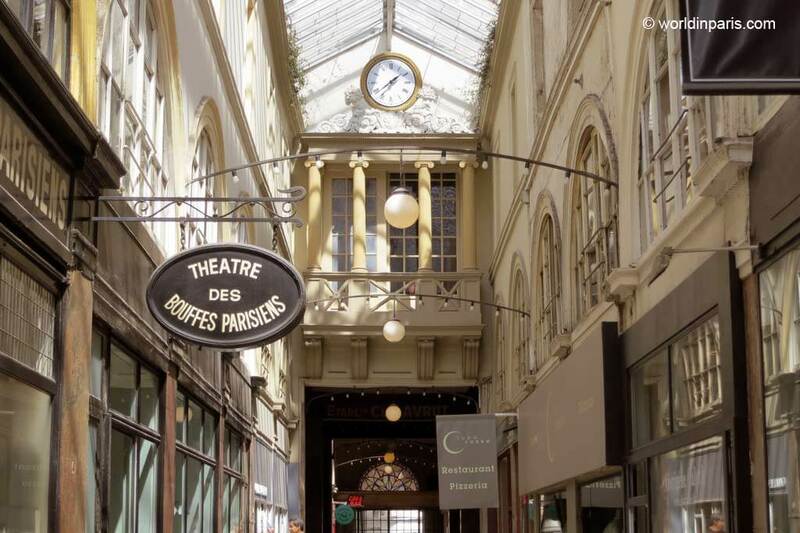 The Thêatre des Bouffes Parisiennes (1857), has its secondary exit in the passage so there is a certain animation in at Passage Choiseul after the show. » THE PERFECT BREAK: Go to Bio Burger (#46) for a fast-food break 100% bio. There is no better place to relax than the Zzen – Bar à Sieste (#29) where you can take a good nap. » PASSAGE CHOISEUL OPENING HOURS: From Monday to Saturday from 8 am to 8 pm. Closed on Sundays. Don’t you fancy sleeping in one of these beautiful and quiet Covered Passes of Paris? Hotel Chopin, Paris is located inside one of the most beautiful covered passages in Paris, the Passage Jouffroy. Enjoy the passage’s everyday life and special atmosphere during the day; Have a quiet sleep, far from the busy streets of Paris, at night. Hotel Chopin proposes very good deals if you book in advance. 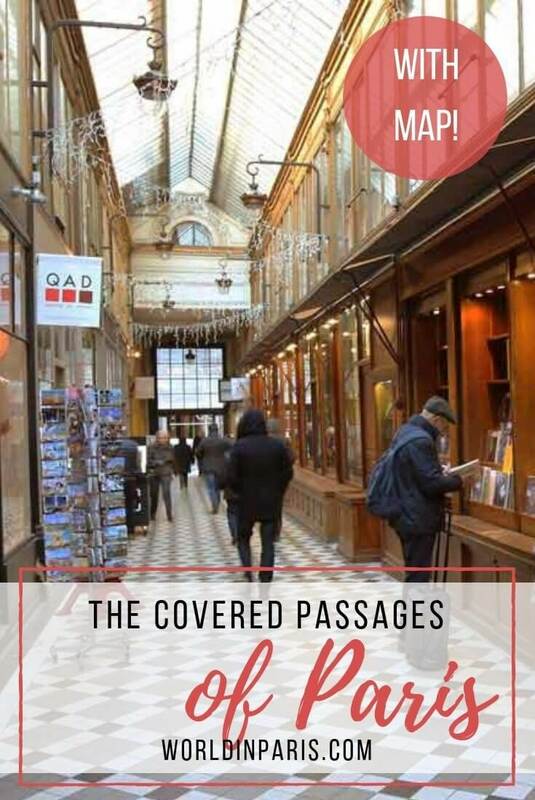 Have you visited the Covered Passages in Paris? Which is your favorite one? Hi there, just to let you know I’ve nominated you for the Blogger Recognition Award as one of my favourite travel blogs! I was recently nominated and the purpose of the award if you haven’t heard of it is to recognise each others efforts, encourage one another and grow partnerships between bloggers. If you wish to accept it, take a look at my most recent post! Wow is the word. I had no idea there were that many of them, though! Well, Paris is a huge. complex city, and the more you discover, the less you feel you have discovered. The romantic Paris never stops to amaze me, Thanks a bunch for the efforts to provide a detailed and comprehensive post! This is a place where you will want to visit with no hesitation, such a shame I’ve been in Paris but I never check this out. Looking forward visiting Paris again. Wow! These all look amazing, especially the Gallerie Vivienne. I love exploring these types of areas! Hoping to make it to Paris soon! Thats a lovely and unique collection! I am sure in the yesteryears these must have been open street. I have seen at least one similar covered passage in Brussels. always been a fan of interior design… I feel if I go to Paris I’d get the best designs and literally lit my face to see them in person… and yeah I am almost right because I feel happiness looking at the photos you shared… These covered passages are awesome!!! These passages of Paris are indeed a revelation. A massive thanks for throwing light on these grand works of art, which they are in their own right. Will visit them next time we are there are in Paris. The first time around we were stuck to the traditional Parisian sights. 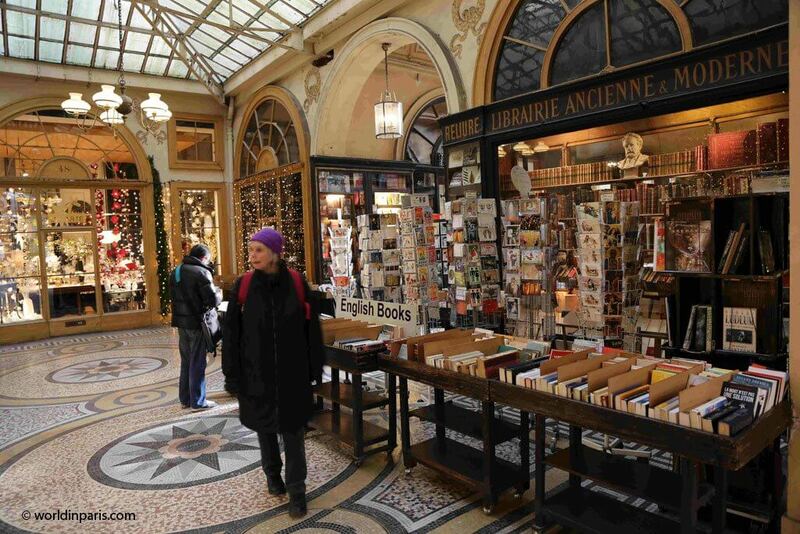 I would love to check out Gallerie Vivienne because of its bookshops! Looks like one can discover a lot trinkets and rare book finds there. It’s also interesting that it has boutiques and fabric shops. Thanks for sharing! I had no idea these existed. I’ll be visiting Paris soon with my little dog, and these look like an ideal indoor activity to do where he’ll be allowed. I can get lost in these passages and I wouldn’t mind, they all looked beautiful and I am pretty sure that exploring them would be a thing for leisure. I like anything with a vintage feel, old places and things, they truly fascinate me and these passages have ’em so I can already imagine enjoying my time if ever I get there. Wow it was like stepping back in time! I love how grand it seems. How I wish to walk these halls soon! Paris is ❤! Nice post. I am planning to visit Paris this year and your post is definitely going to help me in planning my sightseeings in Paris. I will definitely like to cover these Passages. Legrand Filles et Fils, good to know where to go get the best wine in Paris should I find myself around in town. From your photo shots I think I prefer the “Passage Du Grand Cerf” with the interior decorations. I loved exploring different commercial passage ways while we were in Paris – we would always stumble across them by accident. Though I had no idea that they had such historic significance and were once hidden! Thanks for acquainting us with these passages as we would be heading to Paris in August. Passage des Panoramas looks gorgeous! These galleries look gorgeous. There’s some Victorian galleries like these in Leeds in Yorkshire too and it’s like stepping back in time. The covered malls with all their artistic detail are stunning. I’m not much of a shopper when I travel but I’m sure I could be persuaded to pass some time in any or all of these although I would have to agree with you on the elegance of gallerie Vivienne. They are so old and so beautiful. I had no idea these existed, but wish I had when we visited Paris. I would love to just stand at one end and stare (with my camera) for a while. The floors and ceilings are amazing. Thanks. An iconic city with so many wonderful structure. Covered passages just adds to the beauty of the city. 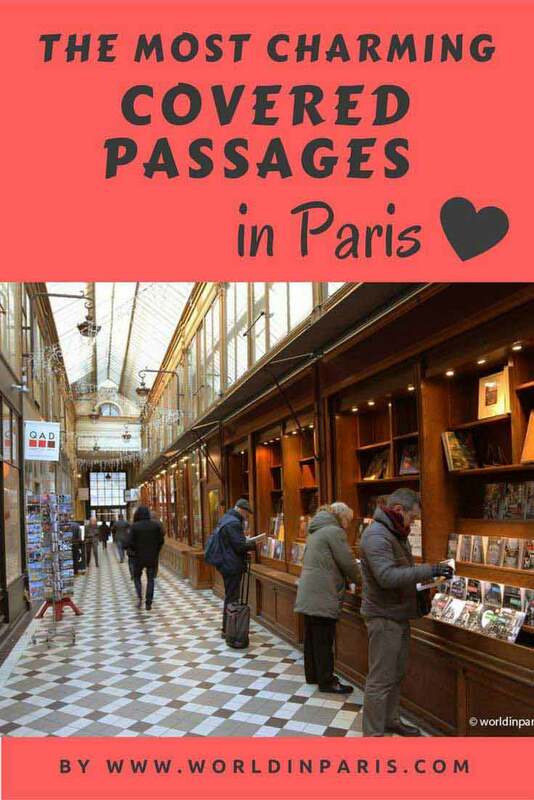 What a pity… I have toured Paris yet I have not been to any of these covered passages. They are really interesting lined with the boutique shops as you say. Book shops here will be treasure houses of knowledge I am sure. I’ve still never been to Paris! This post makes me want to really consider going! Great photos. I hope to see some of these when I do finally make it there. Oh I just love these. Have spent much time exploring these when I find them, and looking for new ones. The ones down in St Denis are a bit past their used by date but you’ve picked the beauties here. My fave is the Panoramas – the book stores and old coin/stamp collecting places in here are incredible. I remember a lovely morning tea here too. Nice place, I have been to Paris many times but never seen some of these passages. I will definitely try to find these next time we are there. Cool little gems, thanks for sharing. Wow, I never thought such passages existed. This is a great article, eye-openers, all! These are beautiful, and look like they’d be really fun to photograph. 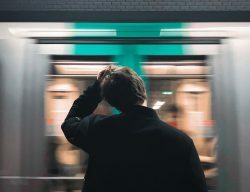 Is there a good time to go when there aren’t many people? If you want to avoid the crowds go on weekdays early in the morning or early in the afternoon. Avoid going around lunchtime (some of them have many little restaurants, perfect for a lunch break) and of course on Saturday. 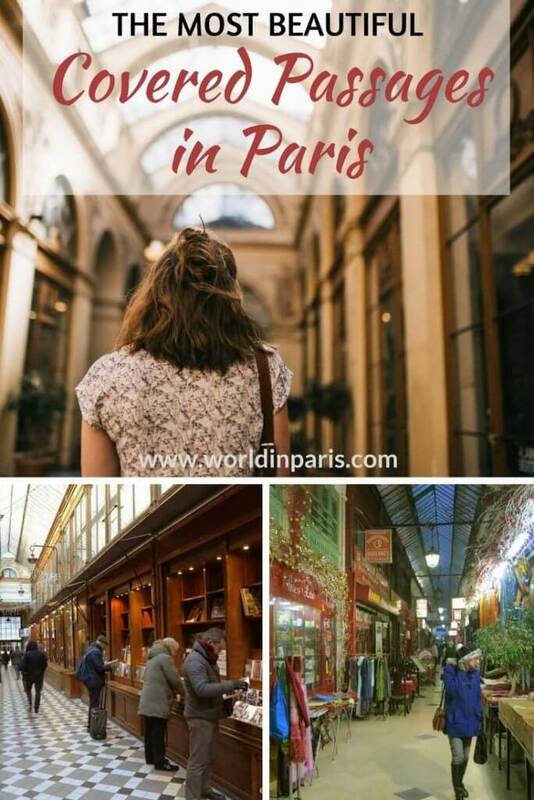 Great list, this is one of the things I love about Paris, despite it being very touristy at time there is the real Paris lurking there to be found! A little but like Venice in many way, especially these passageways! Such a great post for the winter! I think Paris can be charming, but boy it also gets cold. Love this. I will be adding them to my Paris list.